There is no media restriction in Sri Lanka, as it was in the past in which media personnel were summoned to the Parliament and they were punished. 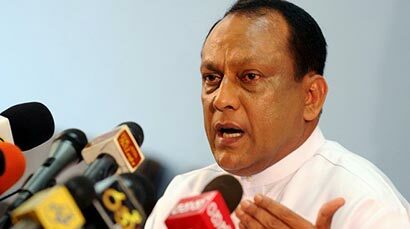 The Acting Minister of Mass Media and Information Lakshman Yapa Abeywardene stated this in the Cabinet Decisions Media Conference held at the Information Department this morning. He said that anyone reading the Sri Lankan newspapers and watching TV channels in the country can get confirmed by themselves as to the truth of this fact. The Minister said that, however, he does not know whether there are certain self restrictions being imposed by the Media Institutions themselves on the instructions of their publishers or the owners.